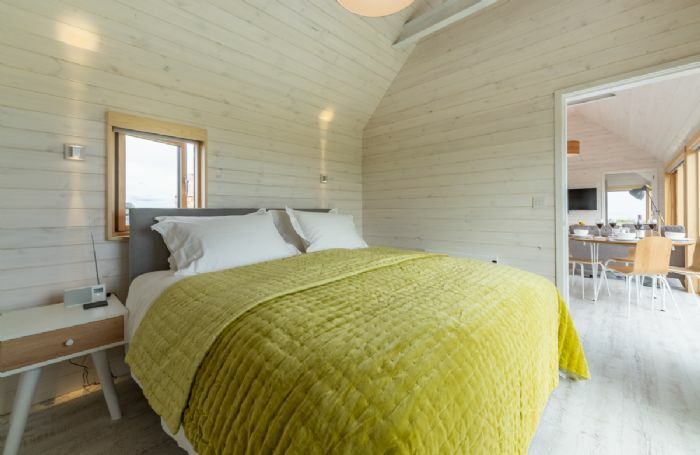 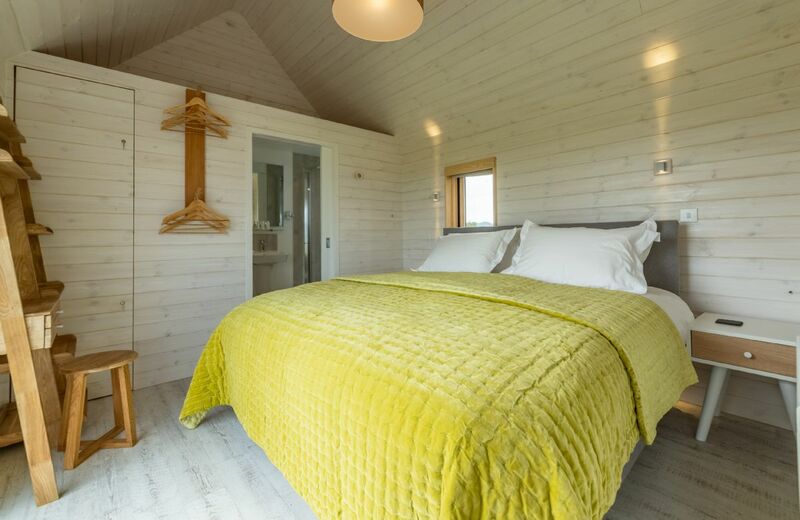 Comfortably sleeping four in two double bedrooms, The Watch Room is set in an Area of Outstanding Natural Beauty. 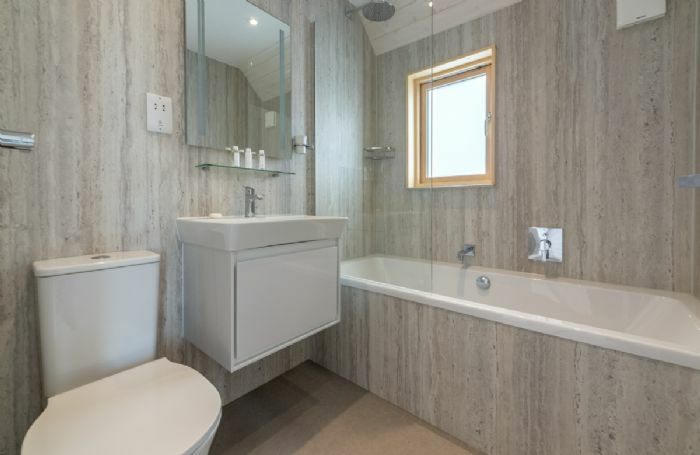 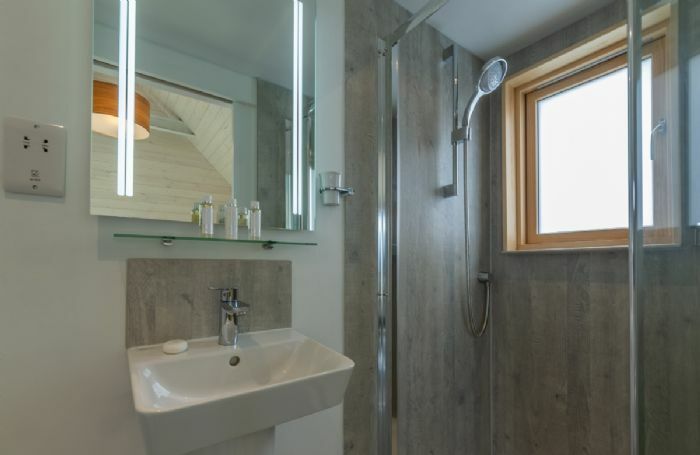 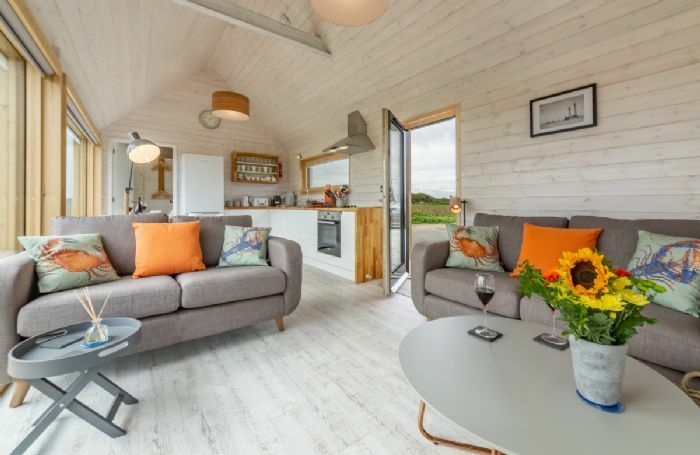 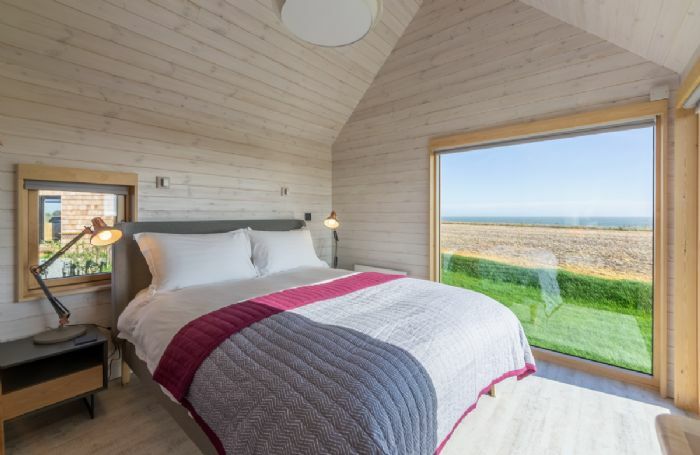 Both bedrooms have en-suite bathrooms, and the whole living space is arranged around a modern open plan living and dining area that opens out onto a decked terrace. The Watch Room is built at the end of a private track on the site of a World War II watch station, where Royal Navy Wrens listened out for German submarines. 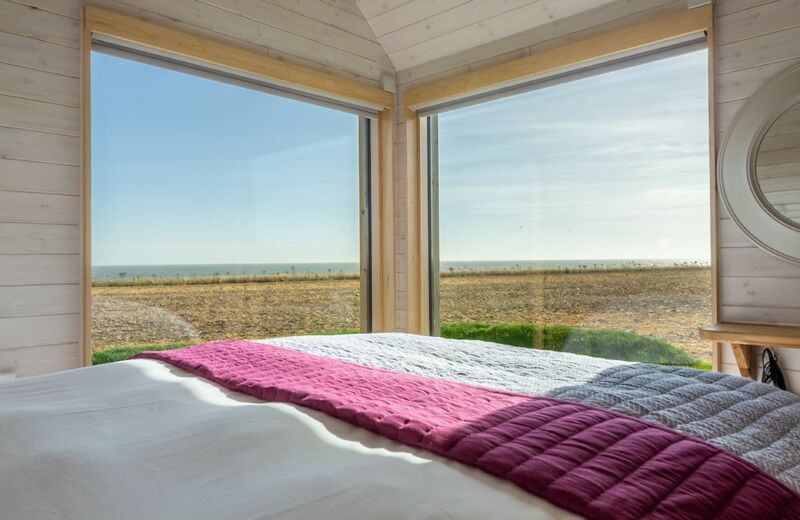 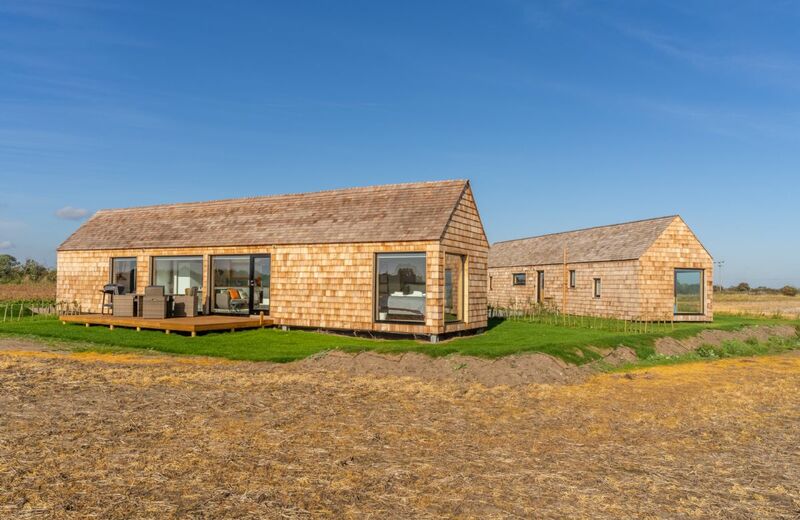 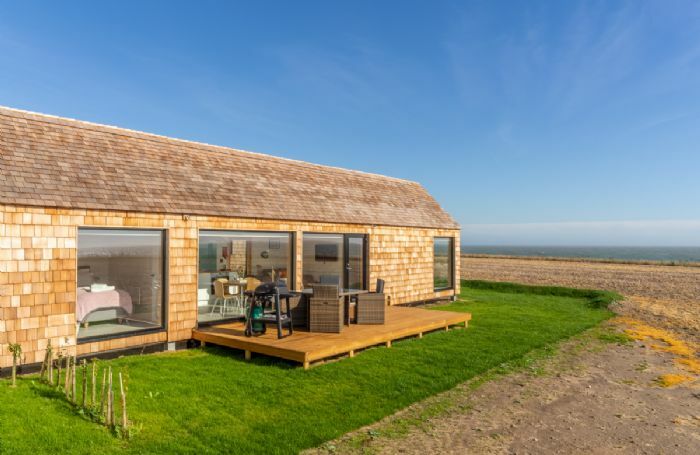 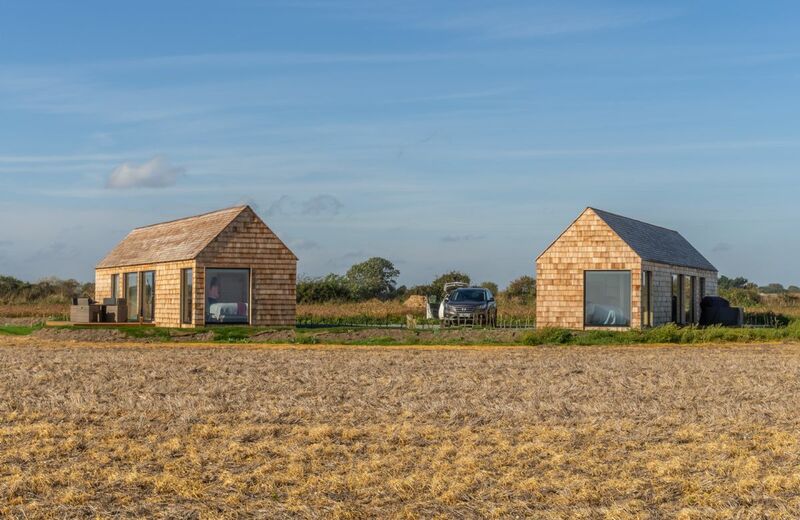 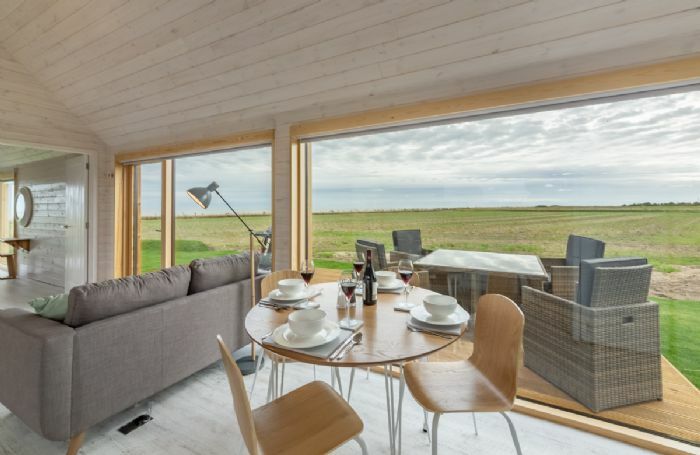 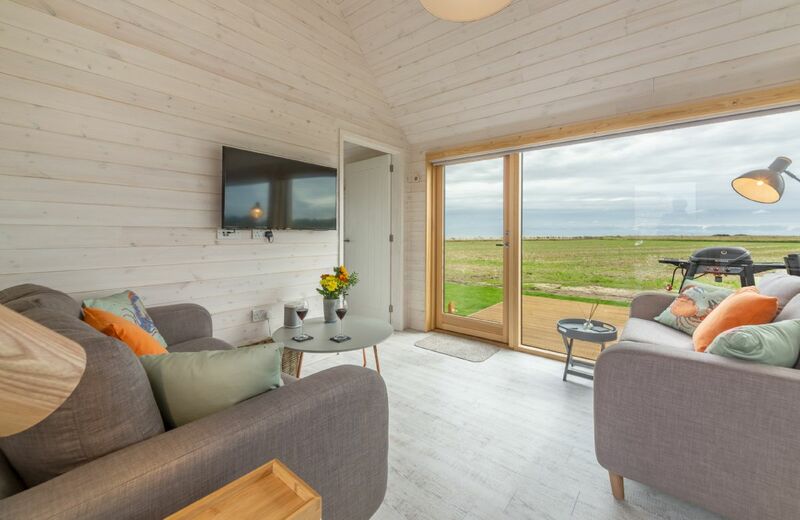 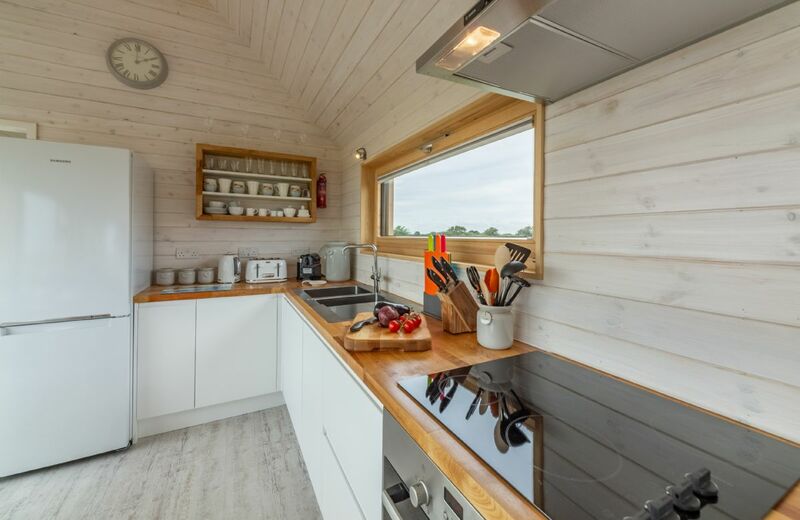 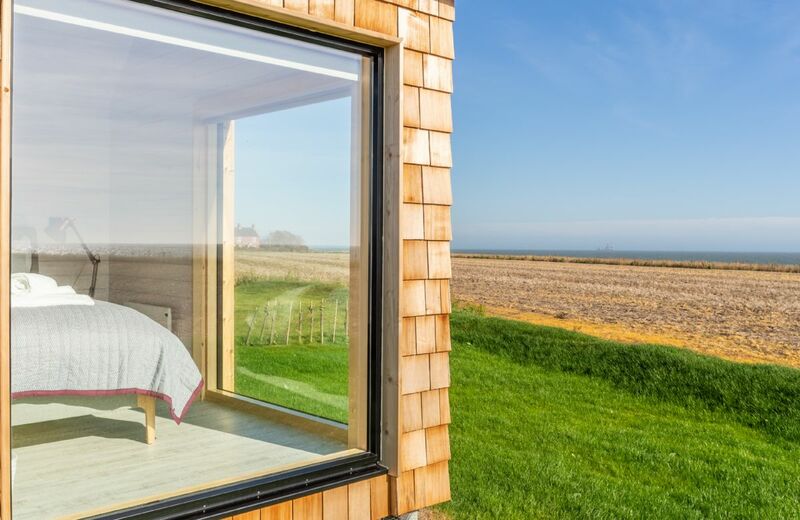 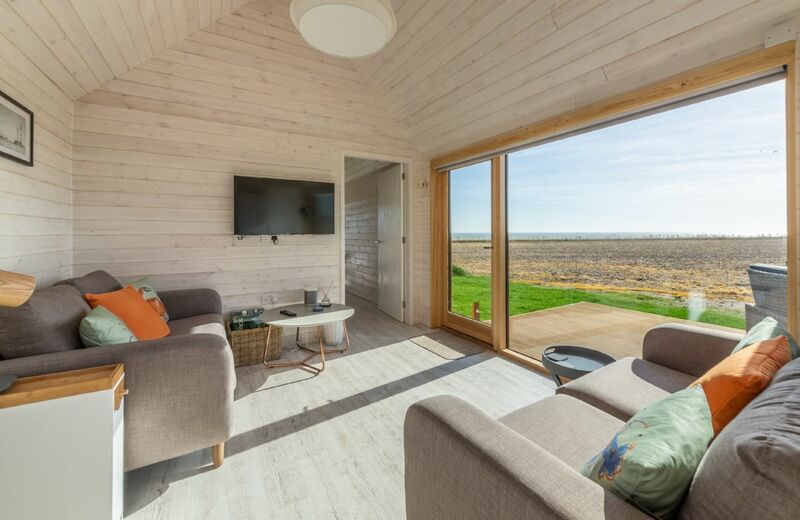 It’s the ideal location for enjoying the vast Suffolk skies and watching the birds and the wildlife from your window. 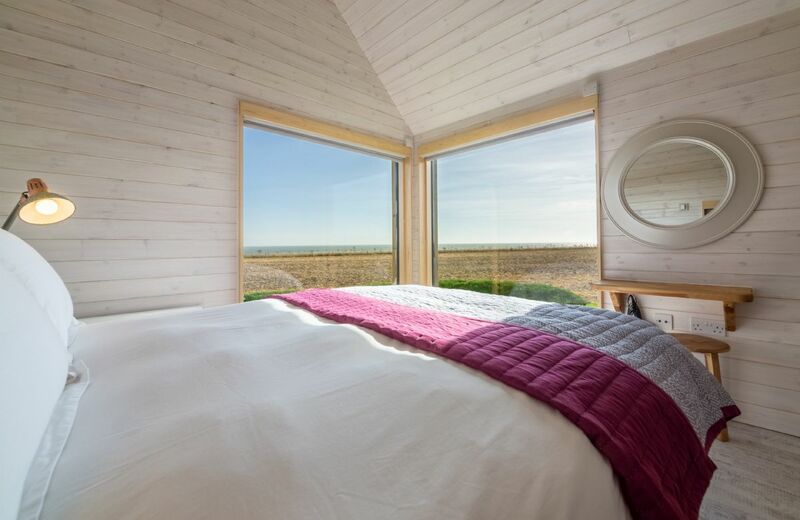 In the morning you’ll be gently woken by the sounds of the waves on the shore and the skylarks. 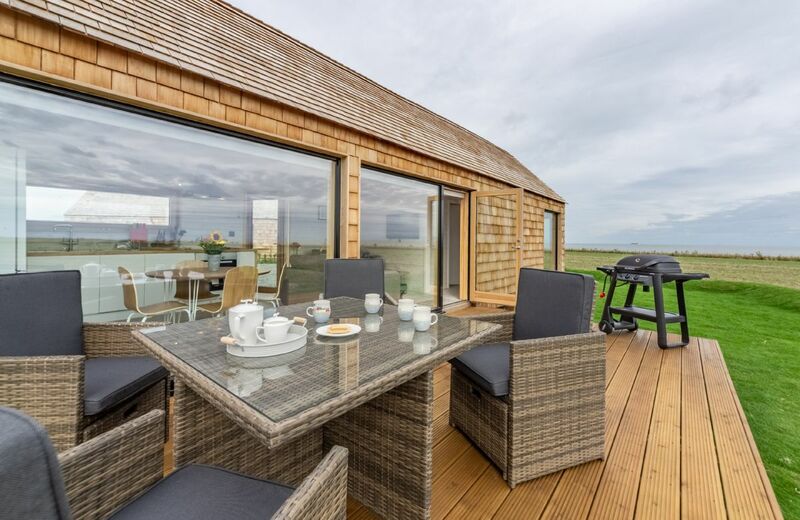 Why not relax over that first cup of coffee while watching the fishing boats out at sea? 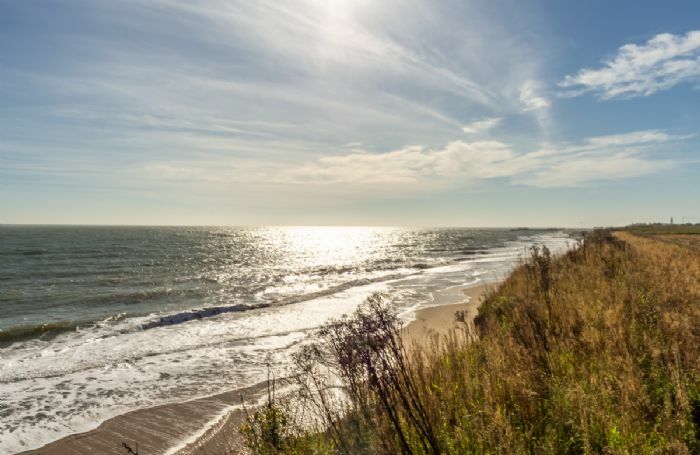 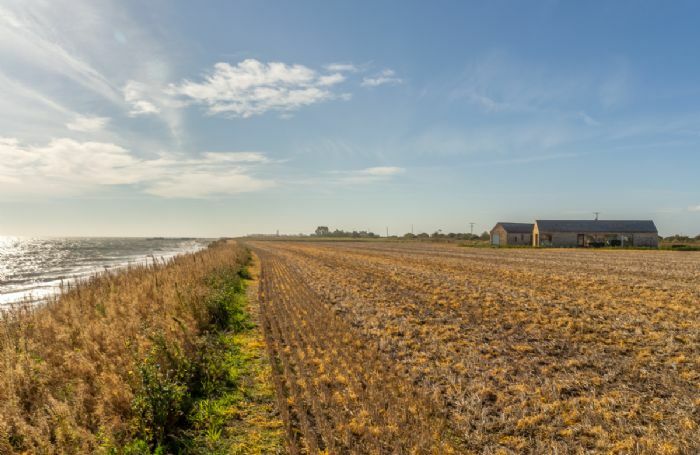 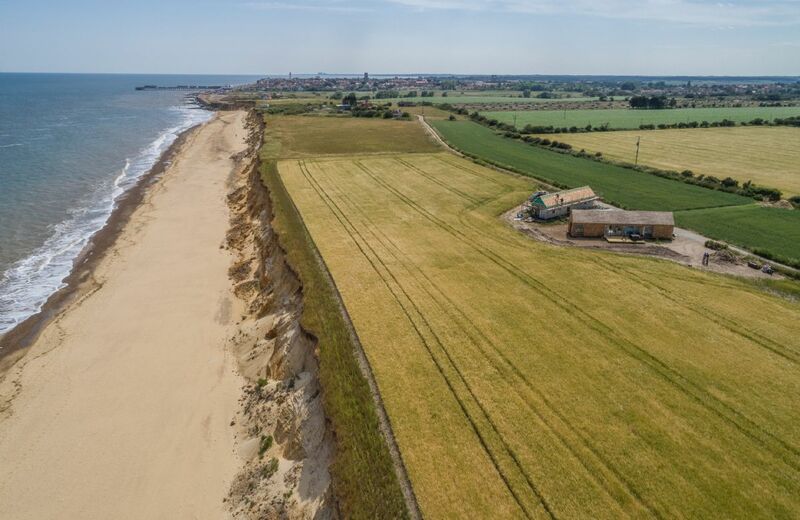 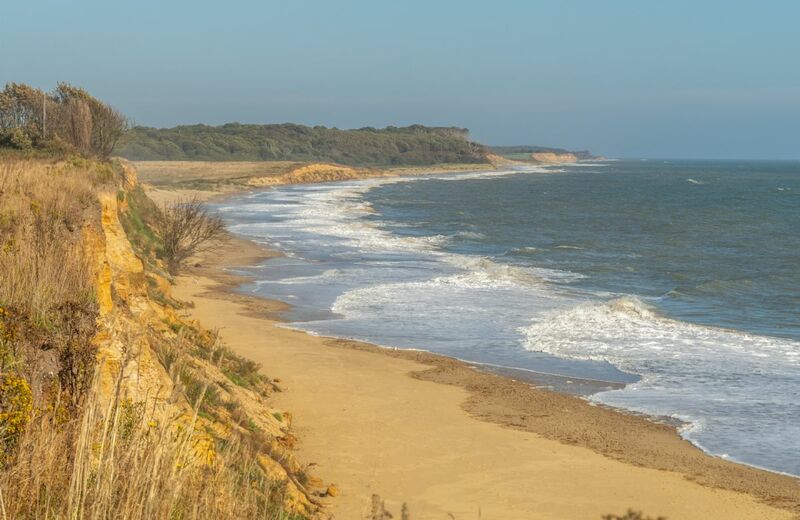 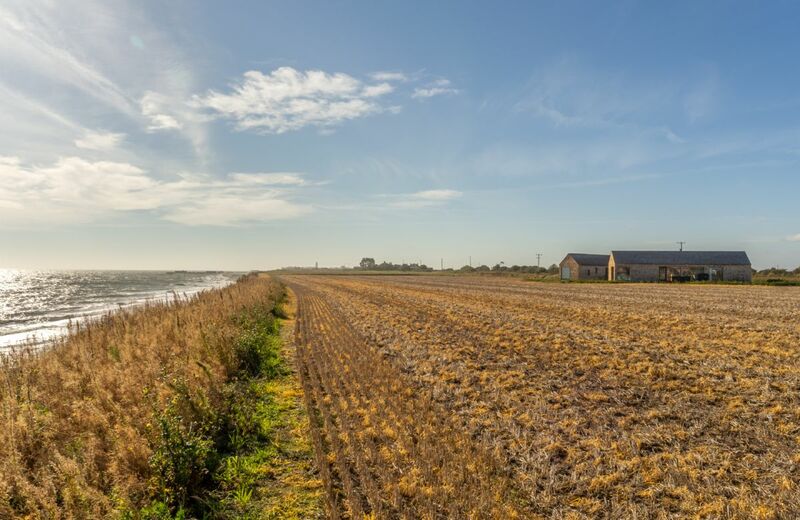 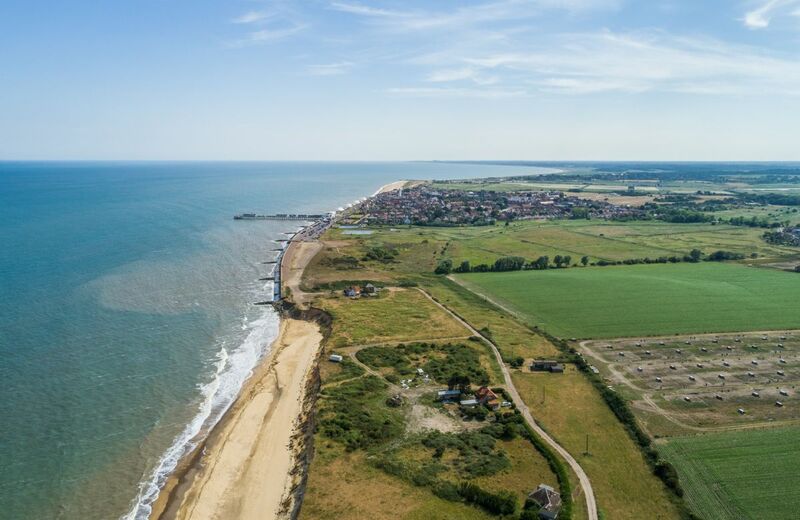 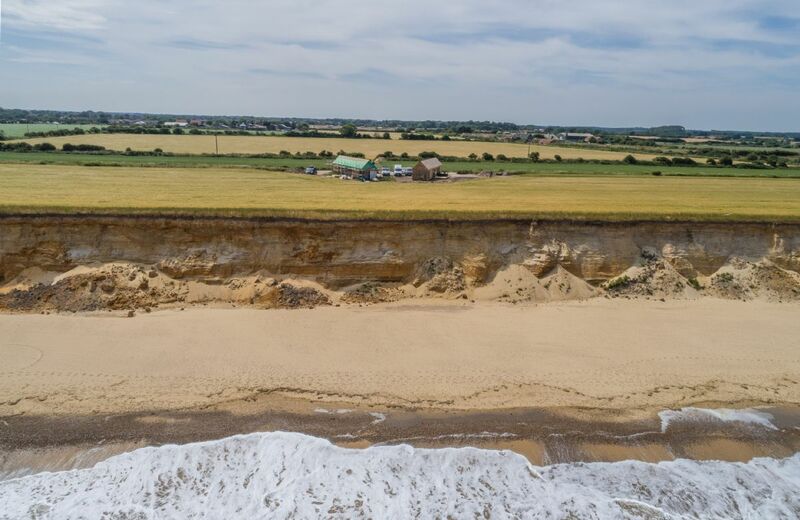 Although it might feel like you’re in the middle of beautiful nowhere, the Watch Room puts you just a 5-minute cycle ride away from the delights of Southwold, a bustling and iconic seaside town with plenty of shops, restaurants and pubs. There is easy access to the quiet, peaceful beach just a 5 minute walk along the cliff. Travel further afield and you’ll find even more to enjoy during your holiday, with anything from tennis and golf through to birdwatching and water sports on offer. 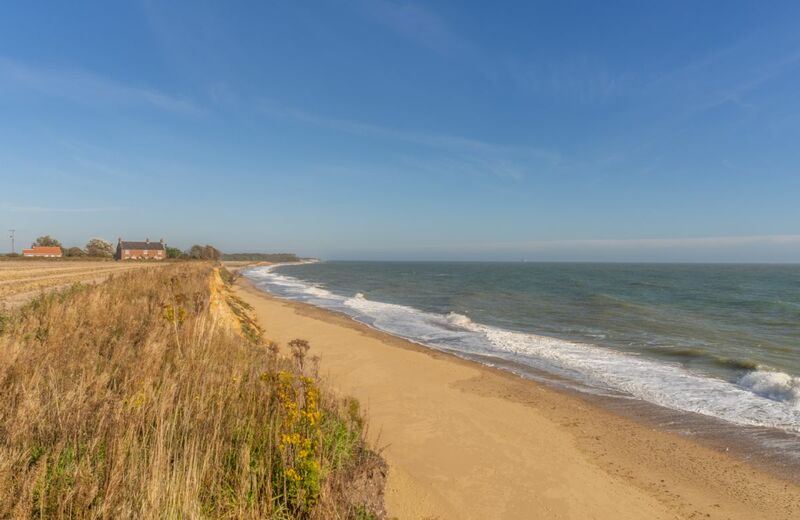 The area is steeped in history too, and you’ll find stately homes and historic towns all waiting to be explored. 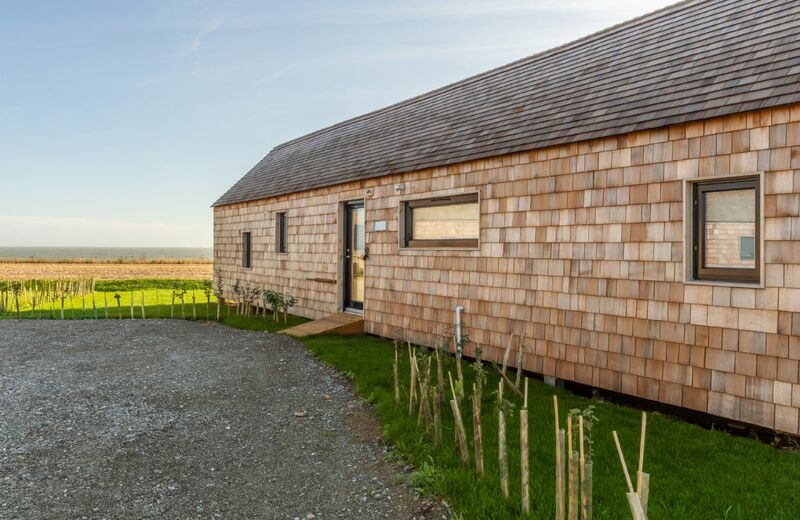 The Watch Room can be booked together with The Listening Station, which accepts one small well behaved dog, as The Watch Houses (sleeping eight guests).